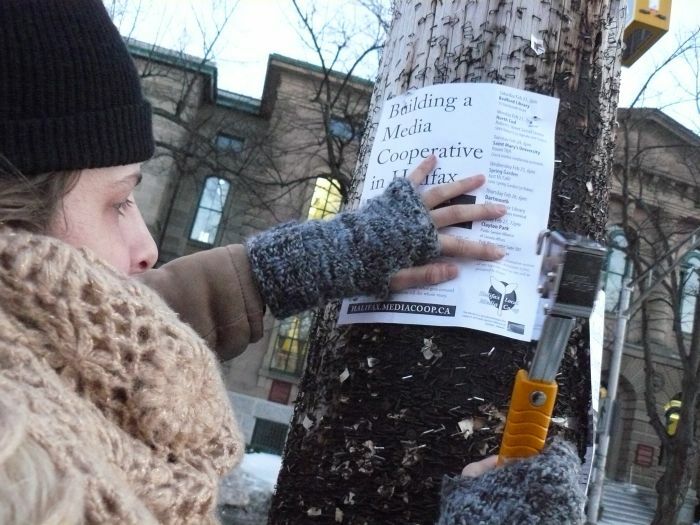 Picture 1: Halifax is saturated in cooperative media potential. Posters detailing a list of events in different neighborhoods in and around Halifax can be seen from the four directions. 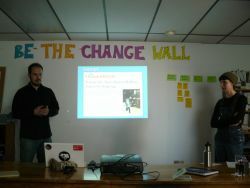 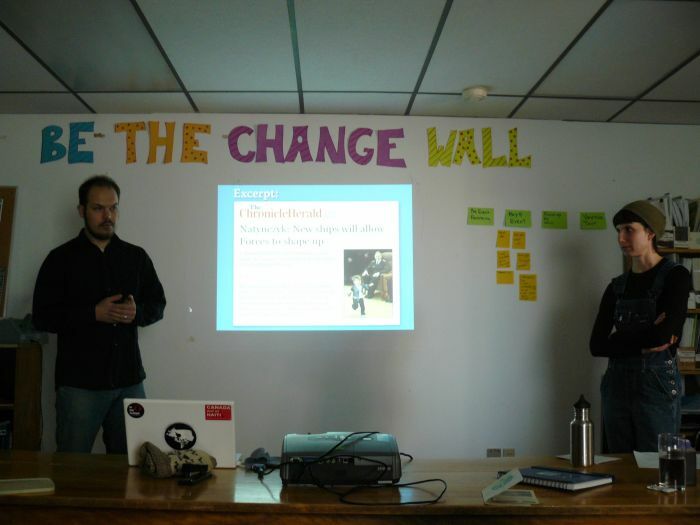 Picture 2: A presentation at Oxfam involved many projections, even though the writing was on the wall. 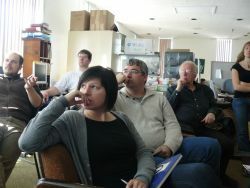 Picture 3: A journalism skillshare and intro to the Halifax Media Co-op website drew a diverse and engaged audience into NSPIRG's office at Dalhousie. 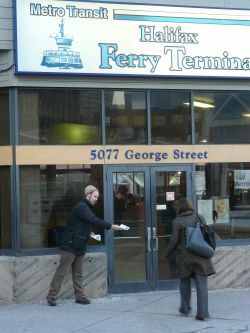 Picture 4: Handing people flyers outside of the Halifax Ferry Terminal leading to Dartmouth was incredibly fun. 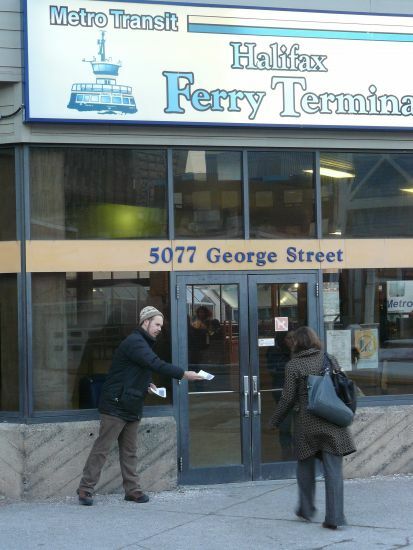 Being able to tell people about the upcoming event in Dartmouth ("it's not just a Halifax thing") felt like an exercise in being thorough. Submitted by Glen Canning on Thu, 02/19/2009 - 23:14.